Cast: Sushant Singh Rajput, Parineeti Chopra, Vaani Kapoor, Rishi Kapoor. 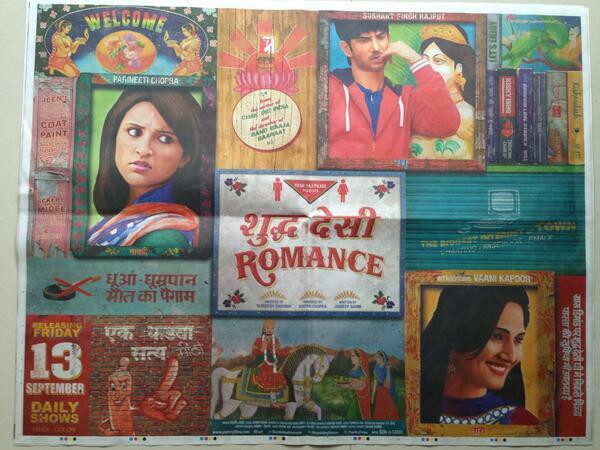 Introduction: ‘Kamine hai re’ This desi romance is no way shuddh but is a crackling film all the way. Plot: Raghu (Sushant) is a guide, about to get married when he develops cold feet. Enter Gayatri (Parineeti) and they fall in love. Fall out of it, fall in it again. Vaani is the damsel in distress who loses out eventually. 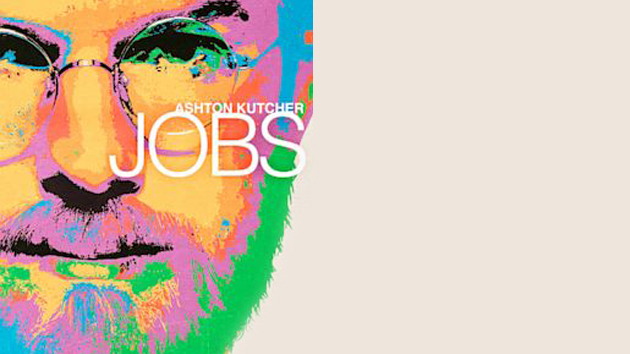 Set in Jaipur this movie catches the essence of youth and their confused minds. Tech Spec: The pink city has turned blue for this one, yet is captured very well. The minutest detailing by Jaideep Sahni is very intriguing in the screenplay. The music has a feel good factor to it and enhances the plot in totality. Acting: Vaani makes an impressive debut and essays her role with ease, Sushant Singh portrays the role of a rustic guide with elan, but its Parineeti that steals the show. She is vivacious and will leave the audience spellbound with her performance. Rishi Kapoor: Do we say more? Citizen Kane moments: Many of them but the stand out ones are a jalebi vendor scratching his back with a spoon, or the scene where Sushant cheats neighbors two be the cousin of Parineeti or the scene when they fall in love. Kela moments: The final clash between Vani & Parineeti is a huge let down. Brownie points 4 out of 5. Yashraj stable has reversed the trend. Watch it for the new order that has been established. This entry was posted in Bollywood, Entertainment, Feminism, Fiction, Films, Love, Movie Review, Movies and tagged Citizen Kane, Jaideep Sahni, Jaipur, Parineeti Chopra, Raghu, Rishi Kapoor, Sushant Singh, Sushant Singh Rajput on September 8, 2013 by missionsharingknowledge. Cast: Priyanka Chopra, Sanjay Dutt, Ram Charan & Prakash Raj. 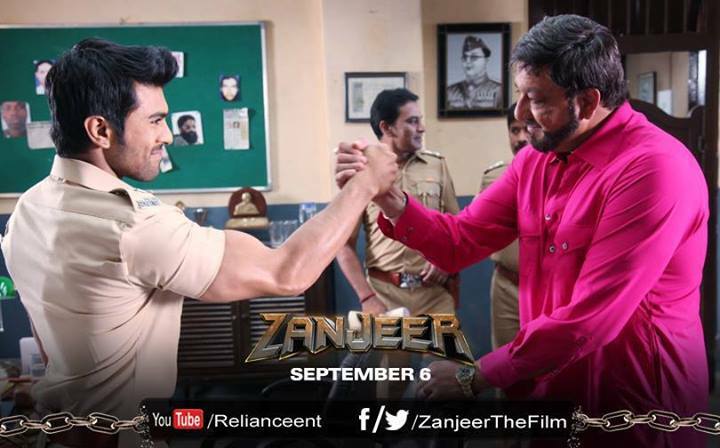 Introduction: The original Zanjeer was not a cult classic yet was a good movie. Its remake is no different. Premise: An angry cop and his angst against the system. A revenge saga that is brutal yet very fresh and convincing. Plot: Same as the Bachchan original. Acting: Ram Charan makes an impressive debut, he was never going to be compared with the legend, but still if comparisons are drawn he has performed no less. Priyanka is in to do very little. Mahie Gill & Prakash Raj have done a splendid job. Watch the two when they spoof Bindu & Ajit from the original. It is hilarious. Tech Spec: The script is very well crafted, retaining the essence of the original and meshing it with modern day drama can get very confusing, but the writers have got this one spot on. The action of the movie is very well choreographed. Apoorva Lakhia holds the film together very nicely. He has smartly created an intelligent masala potboiler. Kela Moments: None to be honest. Citizen Kane moment: The scene of Mahie Gill & Prakash Raj spoofing Ajit & Bindu, the opening scene where Ram Charan bashes up a goon on the streets with Chiranjeevi’s poster in the background. The one-liners which are used judiciously and generate laughter. Ram Charan stands out as the men amongst the boys!!!! This entry was posted in Bollywood, Fiction, Films, Movie Review, Movies, Music, Opinion and tagged Apoorva Lakhia, Charan, Chiranjeevi, Citizen Kane, Prakash Raj, Priyanka Chopra, Ram Charan Teja, Sanjay Dutt, Zanjeer on September 7, 2013 by missionsharingknowledge. Cast: Amitabh Bachchan, Ajay Devgn, Kareena Kapoor, & Manoj Bajpayee. Introduction: The message is loud and clear. 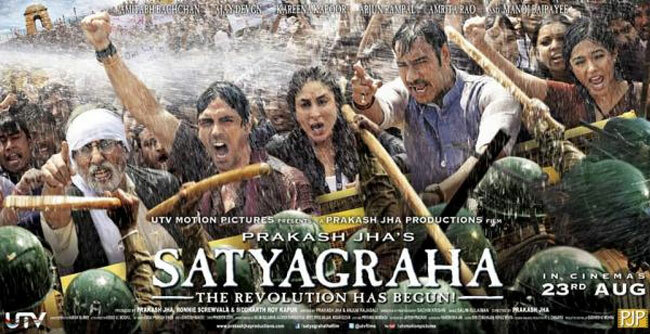 And Satyagraha adds no new aspect to the revolution. Premise: Only if you are news blind, you will miss the fact that this one is based on the Arvind Kejriwal & Anna Hazare movement. Plot: Dwarka Anand (Amitabh Bachchan) is a school teacher who lives by the Gandhian principles, Maanav Raghvendra (Ajay Devgn) is a NRI business magnet. At the core it’s the story of these two individuals. How a shrewd businessman becomes a nationalist and then becomes part of the revolution. Acting: Amitabh Bachchan is brilliant as he underplays his character, the portions where he really breaks down with citizen kanesque acts he is let down by his editors, Ajay Devgn disappoints this time though, the punch is missing in his dialogue delivery. Kareena Kapoor looks less of a journalist and more like an add on. The whistles might be heard but Manoj Bajpayee character is becoming caricaturish now. Arjun Rampal has a miniscule role but his heart is worn on his sleeves. Technical Insight: The script disappoints, Anjum Rajabali can learn a thing or two with changing times, you will feel like re reading the newspapers all over again with very little entertainment value, editing is hopelessly bad, scenes of highest emotions has been killed by lazy edits. Cinematography though is brilliant especially the revolution bit. The music is a sore bore except for Raghupati Raghav Raja Ram. Prakash Jha, maybe out of commercial compulsions gives in, sir atleast once give us a Damul again. Kela moments: Many actually. The songs weren’t needed. And how on earth Kareena Kapoor is the only journalist covering the agitation? Citizen Kane moments: Amitabh Bachchan consoling his widowed daughter in law Amrita Rao, the scene where Mr. Bachchan breaks down when he returns to the scene of his son’s death and Mr. Bachchan scene where he tells Devgn he will miss him when he is gone. This entry was posted in Arts, Bollywood, Entertainment, Films, Hindi, Movie Review, Movies, Music, Opinion, Real Issues and tagged Ajay Devgn, Amitabh Bachchan, Amrita Rao, Arjun Rampal, Kareena Kapoor, Manoj Bajpai, Prakash Jha, Satyagraha on August 31, 2013 by missionsharingknowledge. One of the reasons why the sales of ‘Pass pass’ slumped at its launch was the movie Yaadein. Never in the history of entertainment a movie as lame as that was made, but the makers of painkillers had a smile everytime the movie was screened at any theatre in India. Once upon a time in Mumbai dobara is no different. Premise: An extremely unique story of two friends falling for the same girl. Plot: Well! They Lost it! Acting: Over the top, caricaturish & Lousy. Citizen Kane moment: A few scenes like Akshay Kumar’s bank sequence or the tayab Ali song and possibly the background music. Kela moments: Sans the above three the entire movie. Technical Aspect: As usual brilliant by bollywood standards, gaudy by our western counterparts. Take home: Acting by Pitobash and Sonali Bendre. Leave Behind: The dialogues, Rajat Arora tries too hard this time. The plot if there was any, acting a huge let down by the main cast and a disappointing result to a brilliant first part. This entry was posted in Bollywood, Fiction, Films, Movie Review, Movies, Mumbai, Music, Opinion and tagged Akshay Kumar, Citizen Kane, Kela, Mumbai, Once Upon A Time In Mumbaai, Rajat Arora, Sonali Bendre, Yaadein on August 17, 2013 by missionsharingknowledge. “Awara hoon, ya gardish mein hoon, aasman ka tara hoon”. 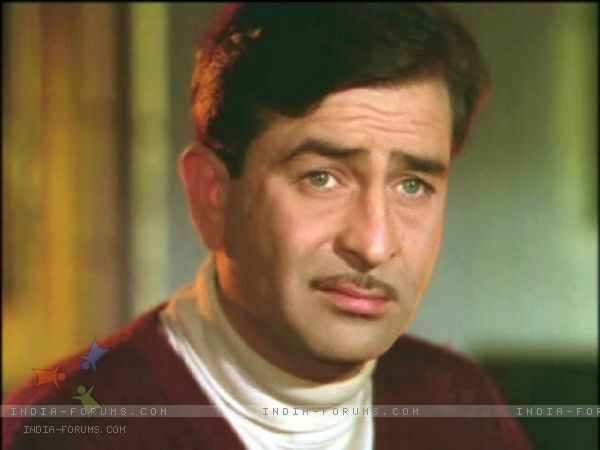 This Raj Kapoor classic sums up the journey of Hindi cinema in the last 100 years. A name that is not just a poorer cousin of its western counterpart, but also is behind its regional competitor, ‘Bollywood’ has reached an age of celebrations. Bevinda Collaco, the veteran journalist and Amit Khanna, a film maker both have staked claim in coining the term, that now appears even in the Oxford English dictionary ‘BOLLYWOOD’. Ever since India gained independence in 1947 Hindi cinema has taken baby steps forward and today in 2013 we are ready to cater to global audiences. In the last 66 years Hindi cinema has seen some great periods of entertainment and some really low phases when the audience were treated to utter nonsense and stupidity. Today lets look back at the industry of entertainment fondly known as ‘Bollywood’. This song defines the era of post independence Hindi cinema. The fifties and sixties was the golden period of Hindi movies. A few good men saw the dream of making quality cinema and entertaining the audiences at large. Guru Dutt, Satyajit Ray, Raj Kapoor redefined the perception of Hindi cinema and brought a cross cultural appeal to it. Hence the films of that era, even today are considered timeless gems. In a poll conducted by BBC Asia for the top hundred songs in Bollywood, a whopping 46 percent of its music came from this era. At the dusk of the sixties, and dawn of the seventies, Hindi cinema witnessed the birth of a legend, that too purely ‘Luck by Chance’. The angst a common man had in him, was beautifully portrayed by the then generation of film makers and Hindi cinema made way to classics like Sholay, Deewar, Trishul, Zanjeer. This was the same era when film makers like Hrishikesh Mukherjee showcased the struggles of an underdog in a light humorous way. Bollywood smashed box office records in this era. Legends like Amitabh Bachchan were born, and the world had begun to take notice of cinema from the east. The era of the seventies can be best summed up by this awesome dialogue ‘Mogambo khush hua’! Its quite an Irony when it comes to Bollywood in the eighties. Back then when India won the cricket world cup in 1983, or when Delhi hosted the Asian games in 1982, or for the matter of fact when our hockey team won gold at the 1980 Moscow Olympics, our cinema saw a huge slump. The period between 1980 and 1988 is considered the darkest hour of Hindi cinema. The old order was still adamant then, be it the actors or the directors or the musicians hence the end result of the movies were tacky and useless. Legendary directors like Manmohan Desai who had popularized Kumbh melas in the seventies did not find takers of his brand of cinema in the eighties. Legends like Amitabh Bachchan were the only who still managed return on investments; otherwise mostly films were a dull affair. The advent of the nineties brought a sea change in Bollywood. The Chopras, Barjatyas and Johars dominated proceedings. 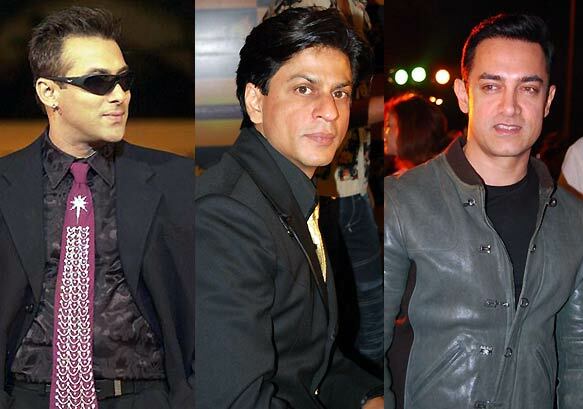 Stars like Salman, Aamir and Shahrukh Khan were born. The new order of technicians and actors managed to erase the dark era of the eighties. Romance as a genre helped Bollywood make its mark in European and American markets. This was also the decade where Bollywood stars made rapid strides in the world of publicity and advertising. “Dekho 2000 zamana aa gaya” the dawn of the new millennium saw the birth of two sons of legendary actors, the Khans continued to dominate the decade. But some very inspiring comebacks made the difference. Bachchan Sr, Sanjay Dutt made a comeback of sorts, so did Sridevi and Madhuri Dixit. This was the era when new age cinema found their calling. Our movies went to prestigious fests and made a mark. The copyright act meant plagiarism wasn’t a choice anymore and yet adaptations of western classics were made. Directors like ‘Vishal Bhardwaj’ captured literature from the world beautifully. Dark cinema was equally entertaining. But the decade of 2000 will be best remembered for ‘Lagaan’. A movie that made it to the academies final five. There is a section of society that thinks Oscars are equivalent to our Filmfare, but that has never been the case. They respect and celebrate cinema of the world, we have narrowed it down to just Hindi cinema. Today as we enter sixty-six years of independence, Bollywood is ready to cut its hundredth cake, many milestones have been achieved, some have been missed, some legends have transcended into a better world, some are still wielding magic. One line that defines the spirit of Bollywood is “The show must go on”. Disclaimer by the author: Editors have a way of thinking. He gave me just 600 words to cover 66 years of cinema. His expectations is for another day. Today I just want to say ‘there have been several names that do not make the write up, but their contribution to our cinema is equally important. 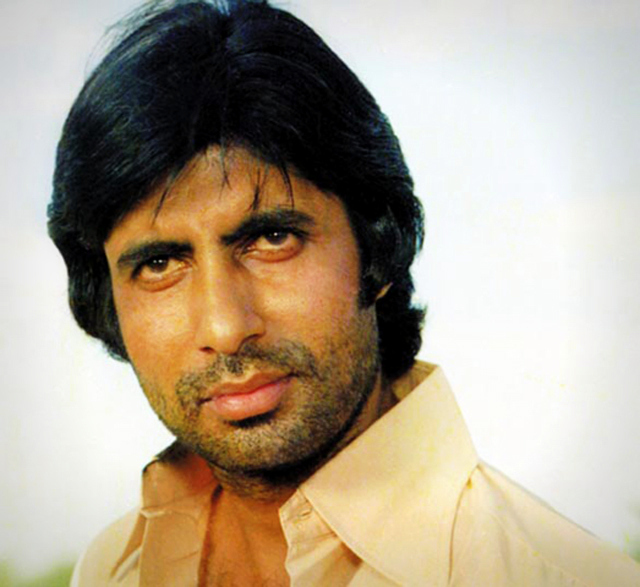 This entry was posted in Bollywood, Entertainment, Fiction, Films, Movies, Opinion and tagged Amit Khanna, Amitabh Bachchan, Bollywood, Hindi, Hrishikesh Mukherjee, India, Raj Kapoor, Shahrukh Khan on August 15, 2013 by missionsharingknowledge.